“Locked-In Syndrome” occurs when the brain stem is damaged and cannot communicate with the body, resulting from any number of factors including overmedication, brain injury, or in the real-life case of Jean-Dominique Bauby, from a stroke. Jean-Do, as his friends and family called him, was left completely paralyzed, trapped inside his own body in 1995. Only his left eye was able to scroll around and blink. So without traditional means of communication at his disposal, patient doctors and nurses taught him a way to converse, even to write a book. Blink by blink. Letter by letter. 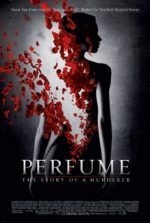 That book is the motivation for this wonderful movie. 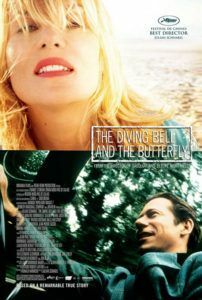 The Diving Bell and the Butterfly tells the story of Jean-Do (played by actor Mathieu Amalric), which critics are calling “inspirational” and “heroic”, but let me add “life-affirming” to their praises. 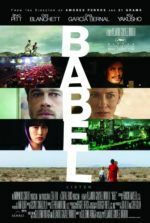 Here we have a film that sews its viewers into the frustrating, enlightening, and claustrophobic true story of a man who lived as not much more than a consciousness. And it does this by manipulating the cinematic apparatus to genius extremes, thanks to Steven Spielberg’s frequent cinematographer Janusz Kaminski. The story begins with a point-of-view shot through Jean-Do’s eyes, waking up from what doctor’s are calling a coma. We see through a watery lens, blurry and wobbling. Kaminski manipulates light, sending it in all directions; the shots are so like that of a disoriented man that we feel faint with discomfort. A former author and editor of Elle magazine, Jean-Do speaks and no one hears him. His cries and frustrations are nothing but a shaky pair of eyes to these doctors, who still don’t know exactly what’s happened. Director Julian Schnabel keeps us in this confined view for some time, not allowing his audience to escape until Jean-Do can. But where is there escape for a man whose body is a prison? His imagination. We’re taken everywhere, actually, flying about as if Jean-Do were a butterfly, to any time or place, reliving those memories to which he so desperately grasps. Several specialists are assigned to him. Marie (Olatz López Garmendia) helps train his lips and tongue to move, in hopes that he may swallow or even speak again. Henriette (Marie-Josée Croze) teaches Jean-Do his most useful skill, alphabet recitation, or acknowledgment rather. Henriette quickly states the alphabet, when she comes upon a letter in a word he would like to spell, Jean-Do blinks. Via this method, he slowly spells out words, sentences, and paragraphs; he talks with friends, family, and writes his post-incident memoir. Even after his communicative liberation, there are still agonizing moments of claustrophobia. Take Sundays, which Jean-Do calls the worst day of the week. Hospital staff is low. No visitors to talk to. No one to change the channel on the television, if they even remember to turn it on. His loneliness surpasses his physical state into an all-encompassing solitude, which frightens him beyond recourse. I found the most difficult scenes those with Jean-Do’s children and their mother, Céline (Emmanuelle Seigner). We learn quickly that he was no saint, leaving her for a mistress. Despite that, it is Céline who visits him regularly, and his family who keeps closest. His 92-year-old father, played by film veteran Max von Sydow, finds the two now have something in common: confinement. The elderly father is stricken to an apartment from which he is too old to leave; the son to a body that cannot move. Though Von Sydow’s role is brief, his onscreen presence has not been so affecting since his early years with Ingmar Bergman. Few performances can be described as brilliant, but there’s something about Amalric’s complex-yet-simple execution that demands high regard. Unless in flashback or imagination, his time onscreen is spent immobile, with a cocked mouth and widened eye. And yet so much is conveyed, so much said, so many readable emotions therein. Daniel Day-Lewis received a Best Actor Academy Award for a similar role in My Left Foot, a movie about Irishman Christy Brown, whose cerebral palsy limited him to movement in only his left foot. Perhaps Amalric will earn the same prestige for movement in his left eye. Those of you familiar with this story know the film will not end well, something Jean-Do is careful to point out. He notes how if he had written his life into a play, at the end his character would leap from the chair, cured. But then a slap in the face would come, with someone telling him to stop dreaming. In spite of the sad truth, with his limited time Jean-Dominique Bauby did remarkable things. 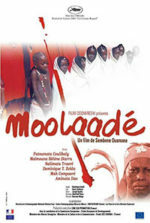 This movie is a statement to human conviction, how beyond simply existing in this state, Jean-Do flourished.